Led by experienced health care professionals along with cancer survivors, the sessions are structured but also flexible in format and topics. 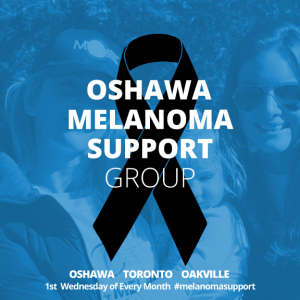 Support groups also offer up to date information on melanoma. The Melanoma Network Patient Exchange support group is a supportive place to share your feelings, challenges and an opportunity to ask questions. In March of 2014 I found a new mole (the size of an eraser on a pencil) on my right inner thigh. My doctor sent me to a plastic surgeon to have it removed but he said it was just another mole. After telling him it had bled and was oozing clear fluid, he finally agreed. It was removed 7 months later. When I went to have my stitches out in 2 weeks, the doctor told me I had Nodular Melanoma and that I might just do chemo in a pill form. I was by myself and didn’t know what to do. I cried all the way home. I had surgery on Oct 15th to remove a wider area of my leg where the mole was and a biopsy of my lymph nodes. The cancer had gone to my lymph nodes and were removed with another surgery on Nov 5th. On Nov 14th, I was diagnosed with Stage 3b Melanoma and was to begin treatment in the new year. I began high dose Interferon on Jan 7th for 4 weeks and self injections at home for the remaining 11 months of the year. It was a tough year but I got through it. My Oncologist referred me to Hearth Place for ongoing support. In the meantime I had developed shingles and another surgery to determine I had Sarcoidosis and Fibromyalgia. So finally in March of 2017 I went to my first Melanoma Patient Support Group. We meet every first Wednesday of the month and I love our group. We have shared our stories together, we have cried but also laughed. Our monthly gathering is a place where we understand each other and support one another. I really recommend it for others looking for support and to possibly de-stress from a difficult diagnosis and to understand that we are not alone in this journey. 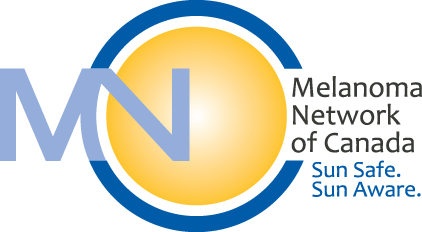 Get news from Melanoma Network of Canada in your inbox.